The health of our gums and teeth are very important for our overall health and physical beauty. Receding gums could be an early symptom of a very serious gum disease. And no doubt, curing this gum problem is crucial to avoid further issues. 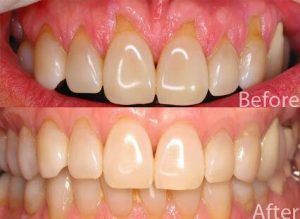 So if you are suffering from the receded gums then don’t waste another minute and consider Gum Recession in Islamabad. In the gum recession, your gum tissue pulls back from your tooth and exposing your tooth’s root. It could lead to tooth decay and tooth loss. Gum Recession in Islamabad will treat your gum problem with either soft tissue graft surgeries or by reattachment of your gums in a more coronal position, so that your tooth roots will properly cover. What are the Objectives of Gum Recession in Islamabad? It will help you in restoring your healthy gums. It will make your smile more attractive than before. It will prevent tooth sensitivity. It will help you in reducing the risk of tooth decay. It will also minimize the chances of losing your teeth. It will help you in the reduction of your gum issue inflammation, swelling, irritation, soreness and infections as well. What are the Early Symptoms of Gum Recession? If your gums are red and swollen. If you suffer bleeding or tender gums. If you notice a prominent puss surrounding your teeth and gums. If your gums have moved away from your tooth. If you have a persistent bad taste or always have bad breath in your mouth. Are you the Qualified Candidate to get the Gum Recession Treatment or Not? If you want to stop the discomfort and pain due to your receding gums. If you have the realistic expectations regarding the results of gum recession treatment. If you want to prevent the risks of the expected infections due to your receding gums and teeth. If you want to have healthy gums and teeth that would be infections and diseases free. How the Gum Recession Treatment is performed? The dentist will perform the Gum Recession in Islamabad, by either soft tissue raft surgeries or by reattachment of your gums in a more coronal position so that your teeth roots will completely cover. The dentist will also use concentrated growth factor to enhance and improve the gum recession treatment results, as well as the special collagen strips. You will have to take the diet, according to the dentist. You may have to experience tooth sensitivity and bleeding, but don’t worry because the dentist will guide you to carefully take prescribed medications. The gum recession procedure is safe, effective and short as well. It will minimize the risk of losing and missing your teeth. It will help in stopping your gum pain, inflammation, swelling, soreness and tooth sensitivity. It will help in enhancing and improving your overall health and the look of your gum line. 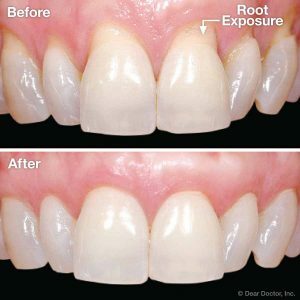 It will help in decreasing the chances of developing periodontal disease and root decay. If you want to permanently treat your receding gum and also want to make your smile more attractive and dazzling then, feel free to consult the Royal Cosmetic Surgery to consider Gum Recession in Islamabad.